Whether you attend for the food, games, activities, live music, dancing, or Bingo, you know how valuable this weekend is for building fellowship at our Parish. The funds raised from the Festival are vital to support our community’s many needs. Your generosity makes it possible to fund projects that improve our campus and support the Parish’s many ministries. 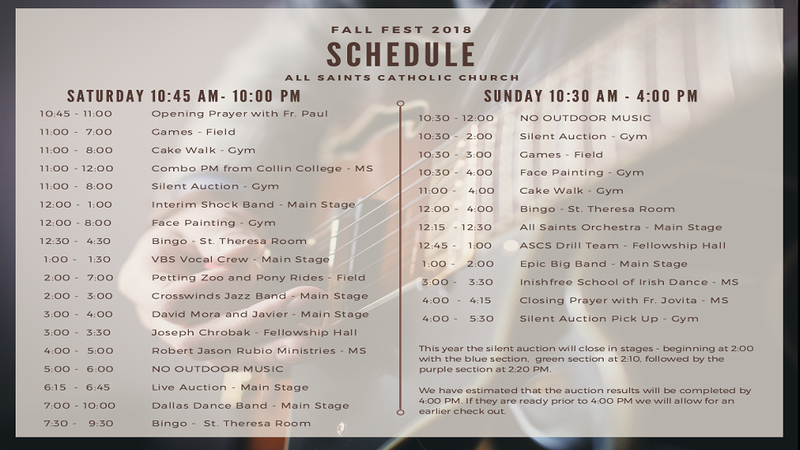 The Festival is held on our All Saints Catholic Church Meadowcreek campus. We hope you’ll join us for food, fun and fellowship!